〈China Daily, April 13, 2019〉Hong Kong maintained its title as the most expensive residential city in the world, with an average property price of $1.2 million, while Singapore and Shanghai trailed behind, according to the Global Living 2019 report from US real estate company CBRE Group. Despite the government’s pricecooling measures to keep costs under control, Hong Kong’s real estate market — the least affordable for the eighth straight year — appeared resilient, whereas the Lion City and Shanghai averaged $874,372 and $872,555 respectively, according to the report released on Friday. The monthly economic update of OCBC Wing Hang Bank said earlier this month that Hong Kong’s property market regained momentum due to eased concerns about higher borrowing costs; the increase in the wealth effect from the stock market rally; and renewed worries about decreased home affordability. The Hong Kongbased bank noted that these factors may continue to bolster the property market in the coming months. “Nevertheless, we still need to see more clues of global economic recovery and more progress in the USChina trade talks to gauge the sustainability of the recent housing market rally,” it added. Besides, the increase of shortterm supply may also cap the upside for the property market. Furthermore, OCBC Wing Hang believes that the downside to local interest rates seems limited due to the reduction in aggregate balance, leading to lower interbank liquidity, which may also sideline some prospective homebuyers. 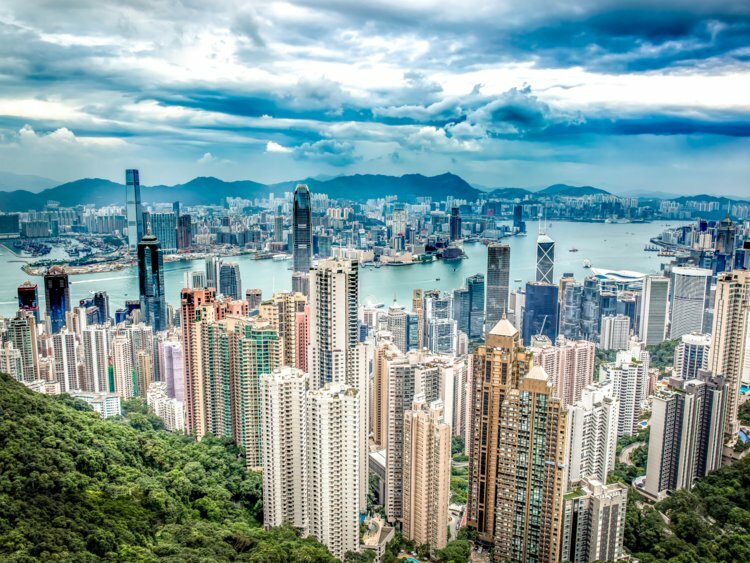 According to the special administrative region’s Rating and Valuation Department, Hong Kong’s property market has shown signs of a rebound as the private residential price indexes rose 1.33 percent, from 360.4 in January to 365.2 in February. 〈Asian Post, April 12, 2019〉Hong Kong moved down two spots in the global ranks of cities with the highest cost of construction in 2018, according to international project manager Turner and Townsend. The city's average building cost rose just 1 per cent, contributing to a slip from third place in 2017 to fifth last year. The average construction cost had gained 6.2 per cent in 2017, placing it behind only London and Zurich. Construction cost in Hong Kong stood at US$3,749 per square metre last year, affected by the US-China trade war. The slower growth rate is expected to boost developers amid a climate of uncertainty. "This is good news for developers, particularly small and medium-sized ones, as the city's housing market has become dormant since last year. They are not sure where it is heading, even though we have seen signs of recovery recently," said Vincent Cheung, managing director of Vincorn Consulting and Appraisal. "The decline in average construction cost is mainly due to the price of building materials. Steel, for example, has been falling as the global economic climate sours." At the current price of US$2,092 per tonne, the cost of steel is down 1 per cent year on year, according to Turner and Townsend. 〈Macau Daily, April 10, 2019〉Hengqin property deals surge on Delta Bridge effect Julie Zhu The number of residential property transactions in Hengqin increased more than 75 percent year-on-year in the first quarter, Centaline Property (Macau) revealed yesterday during a press conference, with the company director attributing the rise in part to the opening of the Hong Kong-Zhuhai- Macau Bridge. “It is mainly due to the promulgation of the Outline Development Plan of the Greater Bay Area, the acceleration of the development of the GBA, and the opening of the Hong Kong -Zhuhai-Macau Bridge,” said Roy Ho, director of Centaline Macau. “This year may be the year when the highest number of transactions will be registered,” predicted Ho Chao San, another director of Centaline Macau. “As we can see, buildings in Hengqin are being finished beside the HKZMB. There is a policy in Hengqin that, as of 2020, all of these buildings’ first phase must be completed,” said Ho. “We can see that some of the skyscrapers’ external structures are ready.”“We can see Hong Kong buyers coming to Hengqin to buy the properties, and they mainly buy shops with the purpose of collecting rents,” said Ho. “There are also many Macau buyers, and they are basically the major buyers, representing 70 percent of the total.”Regarding buyers, 27 percent, 19 percent and 20 percent of Hengqin properties are Zhuhai residents, Hong Kong residents and Macau residents, respectively. 〈China Daily, April 10, 2019〉Hong Kong developer Henderson Land sold 76 of a batch of 100 flats on offer at The Addition, a new residential project in Cheung Sha Wan, on Tuesday without offering a price discount. The flats, ranging from 220 sq ft to 277 sq ft, sold at an average price of HK$21,055 per square foot. Most were going for between HK$5 million and HK$6 million with the majority being one- and two-bedroom units. Interest in the development was strong, with registrations of intent received by Henderson Land exceeding the number of flats on offer by 5.5 times. The bulk of unsold flats were mainly studios, said Sammy Po Siu-ming, chief executive of Midland Realty's residential division. "Given that the first batch of units sold was priced without a discount - unlike in January when some new projects were sold with 20 per cent price cuts - I would say sentiment in the property market is improving," he said. China Overseas Land and Investment was in January offering its new residential project The Regent in Tai Po at HK$12,800 per square foot - about 32 per cent lower than a nearby project launched five months ago. CK Asset Holdings also has a development, Seaside Sonata, in Cheung Sha Wan. Even if it were to go on sale this month, as has been speculated, there would be no overlap in demand given the smaller apartments in The Addition, according to Po. Flats in Seaside Sonata start at more than 400 sq ft and have two to three bedrooms. 〈The Standard, April 10, 2019〉Sales of some new apartments under a tender scheme could breach regulations, according to an investigation by the Sales of First-hand Residential Properties Authority. Secretary for Transport and Housing Frank Chan Fan said he was aware of the recent trend of selling flats by tender and its lack of transparency. At a meeting of the Legislative Council's Finance Committee yesterday, Chan said the authority had already begun to investigate. "The practice is not ideal," he said. He added it could breach the Residential Properties (First-hand Sales) Ordinance and that the Residential Properties Authority was investigating. Apart from enforcement in individual cases, Chan said, the authority reminded the industry that sellers are required to list details of the payment in the register of transactions to enhance the transparency of the transaction details so that buyers could clearly grasp the market conditions. The Estate Agents Authority will conduct an investigation and issue a letter to the estate agents to remind them to strictly follow the relevant ordinance and the guidelines when they participate in the projects through tenders. The government will continue to monitor the sale of first-hand flats by tender to ensure the transparency of such transactions. The Real Estate Developers Association last week said its members -- about 90 percent of the city's developers -- will sell 20 percent of "non-luxury" housing estate flats in new projects on the open market.